The highest peak of Talim Island at the heart of Laguna Bay is Mt. Tagapo. Found at an island in the middle of a lake, the journey to Mt. Tagapo includes an hour of boat ride from Brgy. Janosa in Binangonan, Rizal to the island of Talim. Mt. 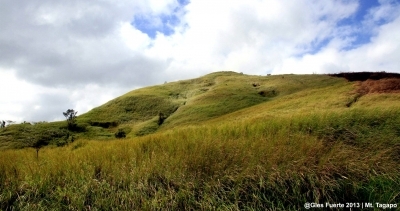 Tagapo, most commonly known by its locals by its playful name; Mt. Susong Dalaga (Maiden’s Breast Mountain) stands at 438 MASL and rewards its climbers with a spectacular view of the Laguna Bay and its surrounding fishing villages. The mountain is surrounded with bamboo which the locals living on the island live from. The people of Talim Island use bamboo to produce products such as furniture, toothpicks, and charcoal. The name Mt. Tagapo came from the word “taga” which means “to chop” with reference to the activities of chopping bamboo that are scattered around the mountain. Mt. Tagapo may not be as tall as other mountains in the Philippines but it definitely does not mean it offers half the fun. Trekking towards Mt. 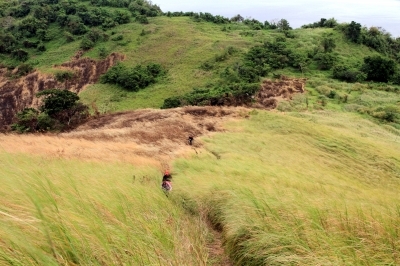 Tagapo’s summit is like having a 2hr walk in the middle of a grove that is field with flowering plants and greeneries. Be rewarded of the experience of travelling to Mt. Tagapo and the feeling of reaching its peak with Trail Adventours. 04:00 AM Meet up and Registration an Mcdonald's El Pueblo, Ortigas. 04:30 AM Depart for Binangonan Port. 07:00 AM Estimated Time of Arrival (ETA) Binangonan port. Board Ferry to Talim Island. 08:00 AM ETA at Talim Island. Final preparations and start trek. 11:00 AM ETA 360 degree Summit. Lunch, relax and explore the summit. 02:00 PM ETA Jump off point. Head back to Binangonan port. 04:00 PM ETA Binangonan Port. 04:15 PM Depart for Manila.